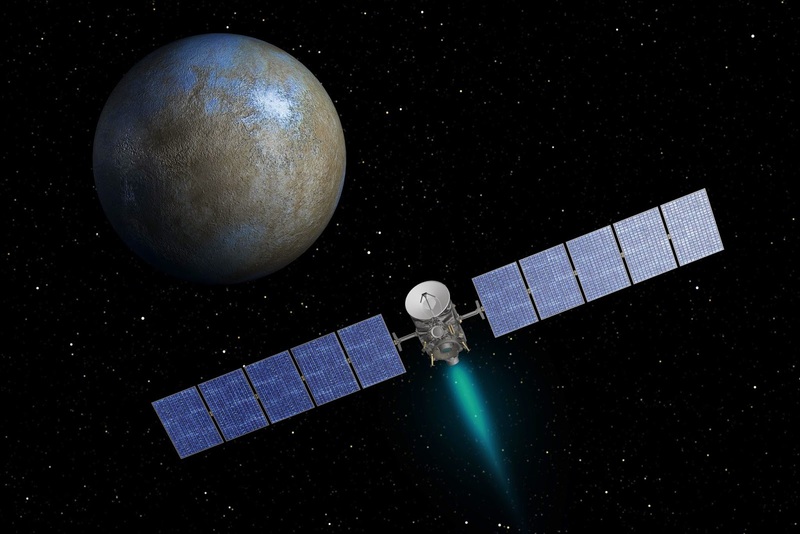 This artist's concept shows NASA's Dawn spacecraft heading toward the dwarf planet Ceres. Washington: NASA’s ambitious Dawn spacecraft will arrive at the dwarf planet Ceres on March 6. Ceres, located in the main asteroid belt between Mars and Jupiter, is the largest unexplored world of the inner solar system. Dawn will not only be the first spacecraft to reach a dwarf planet, it will be the first spacecraft ever to orbit two different worlds in deep space. Dawn was the first spacecraft to orbit a body in the main asteroid belt when it explored the giant asteroid Vesta from 2011 to 2012.